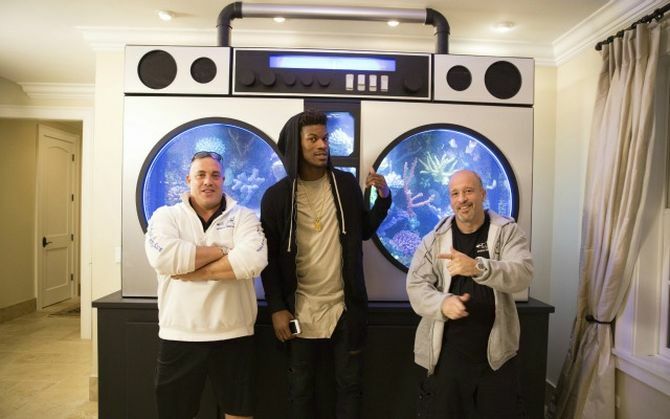 Butler told the hosts Wayde King and Brett Raymer that he wanted a huge aquarium for his $4.3 million 10,000-square-feet mansion. The luxury mansion includes 3-car garage, 750-bottle wine cellar, spacious deck, billiards table and everything required in a mancave, but a funky fish tank was missing. 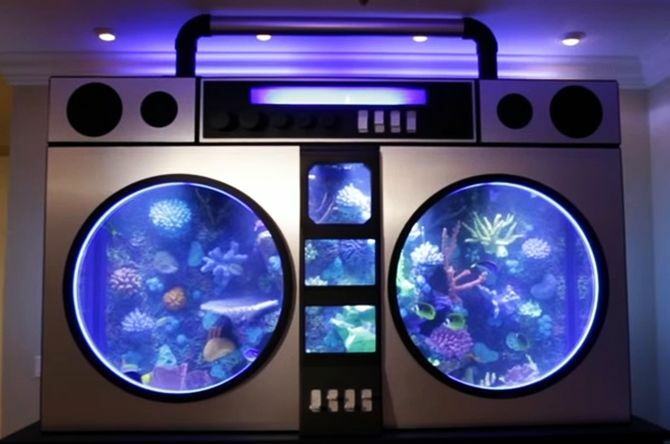 But soon that was changed when Tanked presented him this one-of-a-kind vintage boombox-shaped aquarium. Check out his reaction after looking at the massive tank in the video below. Nine-feet tall and ten-feet wide aquarium holds 600 gallons of water, giving musical touch to the interior. The astonishing tank comes with a custom bubbler that appears like a boombox’s equalizer. As the marine exhibit is shaped like a boombox, so it’s clear that the system cannot go without music. 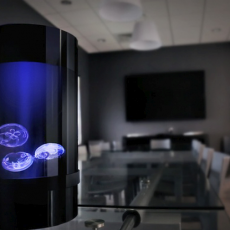 There are built-in speakers to let Butler and his 50 fishes dance to the tunes of his favorite music. Number of fishes in the tank are not just a coincidence, the crew members of Tanked have inserted total fishes in honor of the Chicago Bulls’ 50th anniversary. 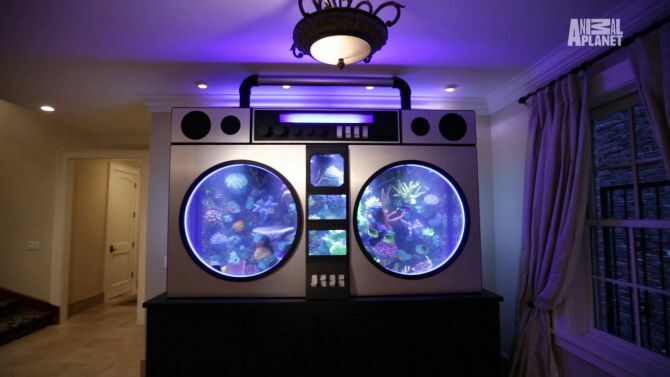 Animal Planet’s Tanked episode featuring this massive boombox fish tank was aired on Friday, November 13th. Although Butler won’t be able to carry this huge retro speaker-inspired tank on his shoulder, but it’s certainly the most unconventional fish tank display we’ve seen so far.